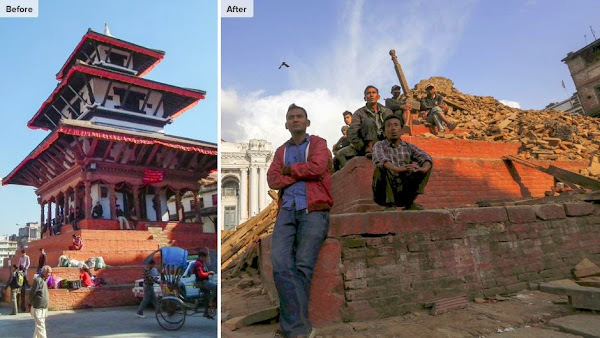 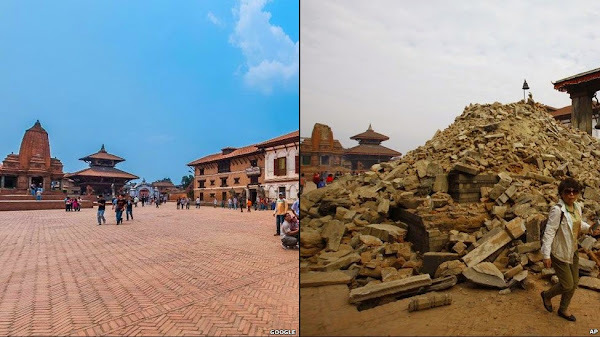 The Nepal Earthquake also referred to as the Himalayan earthquake occurred at 11:56 local time on 25th April 2015 with a moment magnitude of 7.8. 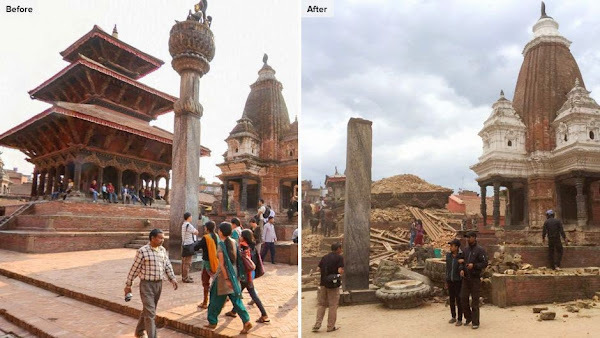 It's epicenter was approximately 34 KM east-southeast of Lamjung, Nepal and its hypocenter was at a depth of approximately 15 KM. 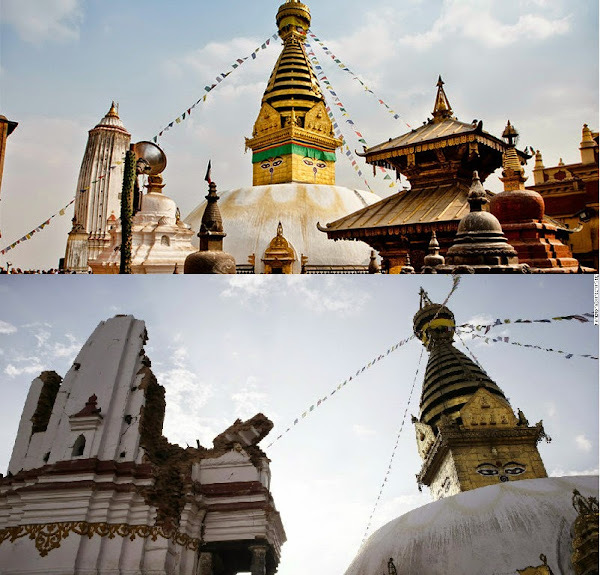 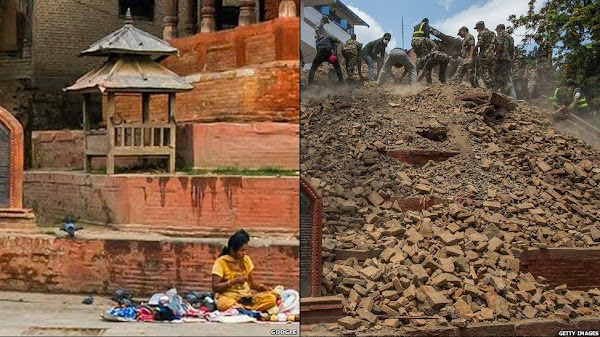 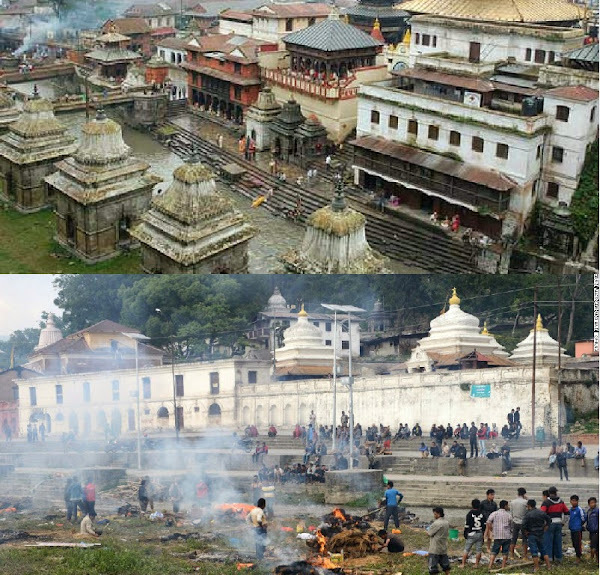 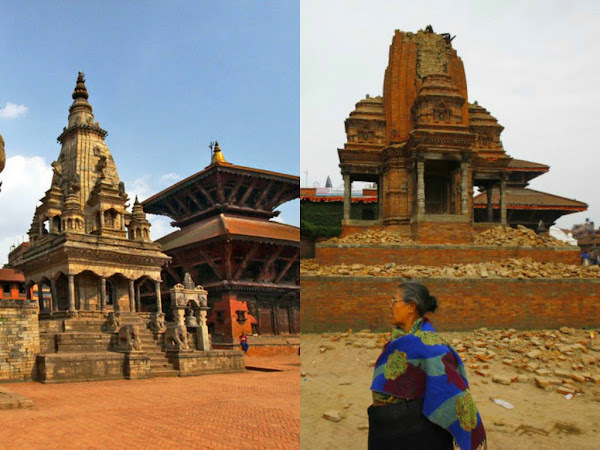 It was the most powerful disaster to strike Nepal since 1934 Nepal-Bihar Earthquake. 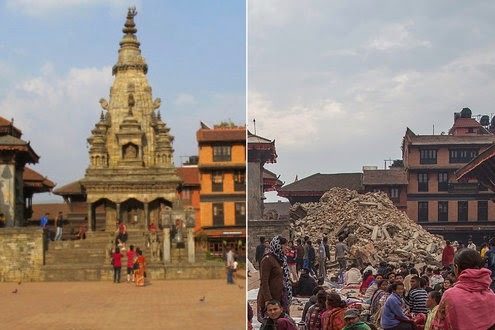 As of 29th April 2015, more than 5,000 people were believed to have died. 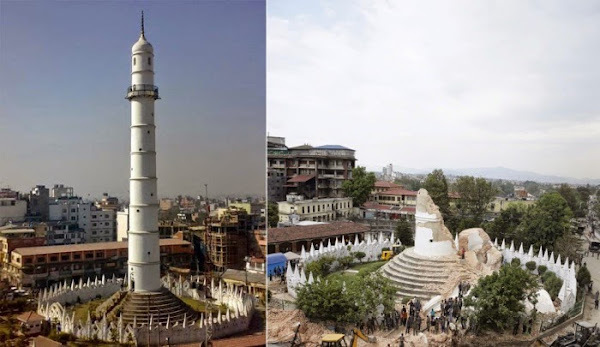 Dharahara Tower: The 19th-Century nine-storey tower was razed practically to the ground in the earthquake. 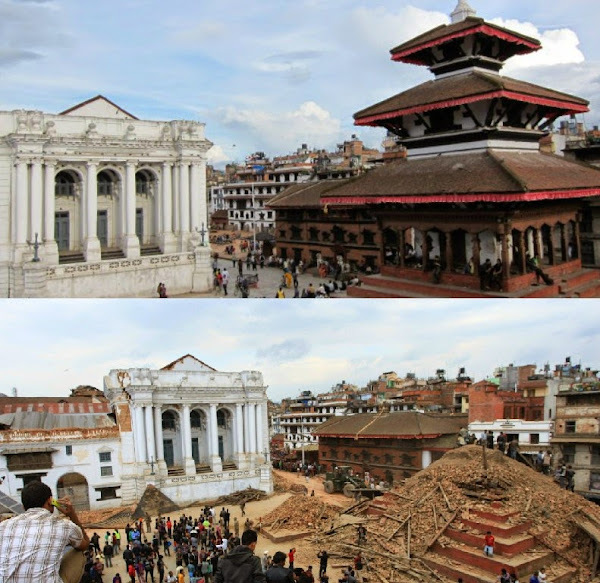 The image on the right shows the 50.5 meter high historic tower as it is now.